For those of us in advertising and marketing the John Lewis Christmas campaign heralds the start of the seasonal analysis. 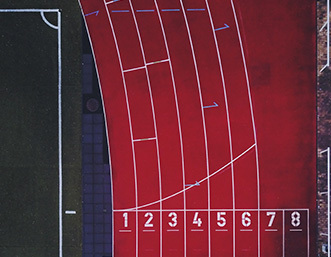 Often a best-in-show for TV advertising this year’s campaign takes things a step further with a truly integrated media experience across platforms media types and devices no doubt informed by the rise in second screen engagement. Second-screen engagement (you know, where you watch Goggle Box and follow the hashtag on your phone at the same time?) in advertising has begun to play a huge role in creating a rounded experience for the consumer. 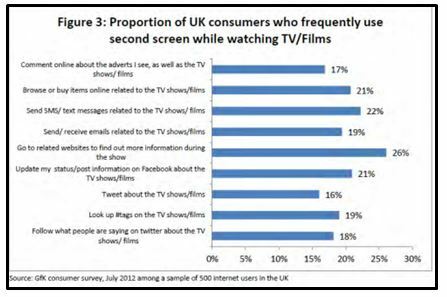 Ofcom identifies that approximately two-thirds of users have the potential to use a second screen whilst watching TV in their homes, whilst the actual usage of the second screen varies from 24% to 67% depending on data collection. 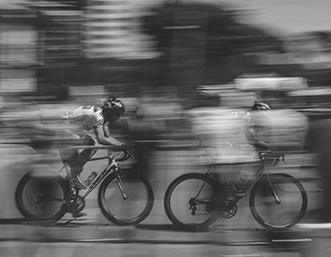 The consumer can gain contextual enhancement through the use of a campaign hashtag enabling them to search and participate in the online conversation. 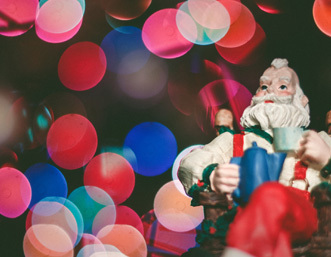 John Lewis isn’t the first to broaden their Christmas campaign experience this year. 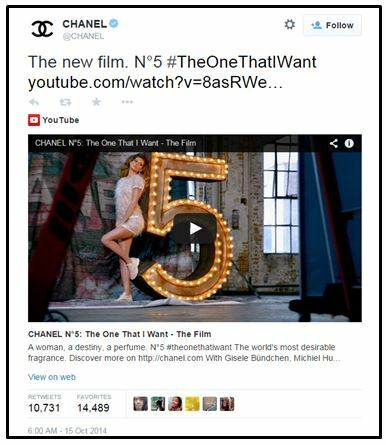 Notable others include Chanel who used their latest Christmas advert to introduce the use of a hashtag #TheOneThatIWant in order to take users from television to their phones, therefore creating an all-encompassing ad campaign. 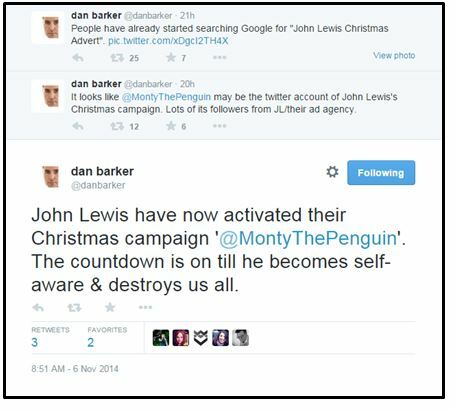 Dan Barker noted their rise in popularity on twitter as not only did people begin searching for the Christmas Ad in Google but the account of @MontythePenguin began to grow. 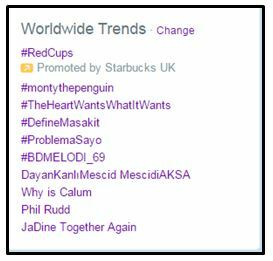 Currently Monty has 6499 followers and has been trending worldwide all day. But this isn’t just some people in marketing having a play around pretending to be lonely penguins. This is much bigger than that. The creation of these two social accounts demonstrates a traditional brand that prides itself on its history taking the step into second screen marketing seriously. 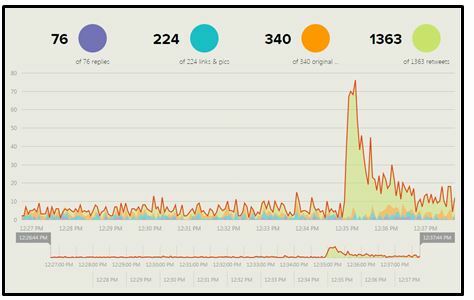 The hashtag chosen for this #montythepenguin appeared to explode today with over 2000 participants in the conversation, peaking at lunchtime today as Monty’s popularity grew. But Monty isn’t just a UK-phenomenon; there’s been a massive 24.8K tweets about him the UK, alongside attention from across Asia and Africa too. 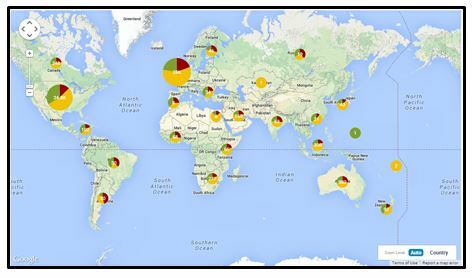 It even seems the US has a lot more appreciation of Monty with the highest ratio of positive tweets, whilst sentiment isn’t always accurate from first glance it seems as though the twitter world is not fully sold upon the idea of Monty yet. 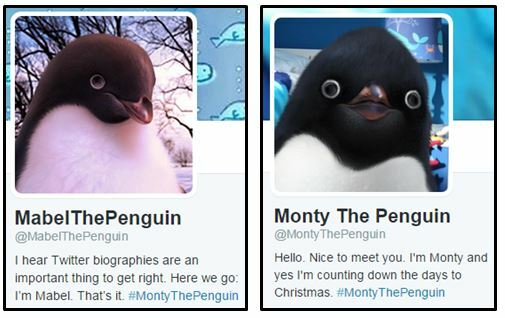 But, why has #MontyThePenguin been such a rapid success? In total 58% of Households with a TV also have downloaded the twitter app; that’s 15, 540, 000 people with instant access to the hashtag if they see the advert. 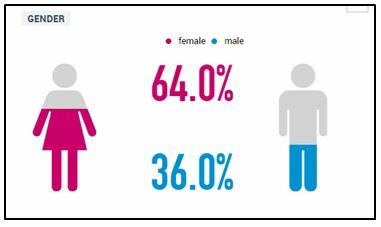 Whilst 16% of UK consumers frequently tweet about TV they’re watching, 19% look up the relevant hashtags and 18% follow what people are saying on twitter about TV. The benefit of creating a campaign that utilising the second screen quickly becomes clear when you look at stats like this. The use of the second screen also enables John Lewis to access the buyers directly. Whilst their advertising offline may have a tendency to attract the attention of children, on twitter the target audience is a bit older and far more likely to purchase. The account currently follows numerous dating sites such as eHarmony and Plenty of Fish in the hope of finding Monty a little friend and keeping us all in with the joke. Developing this personality on twitter can help draw in the attention of a different market to those who see the advert thus encouraging participants to get involved in the story contributing to the campaign content by interaction and thus maximising the impact far beyond the initial emotional response to a television narrative.